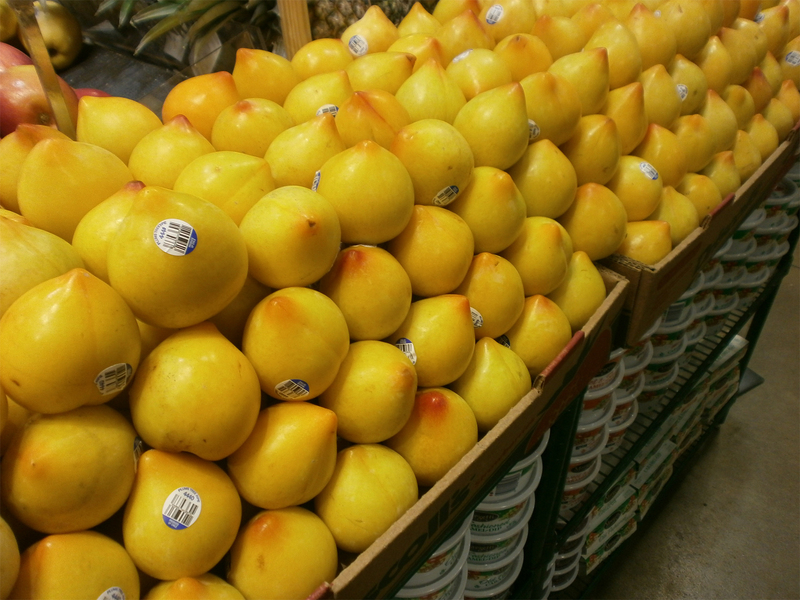 Lemon plum is a fruit which is imported from Chile and now it has become widely known in Canada and United States. 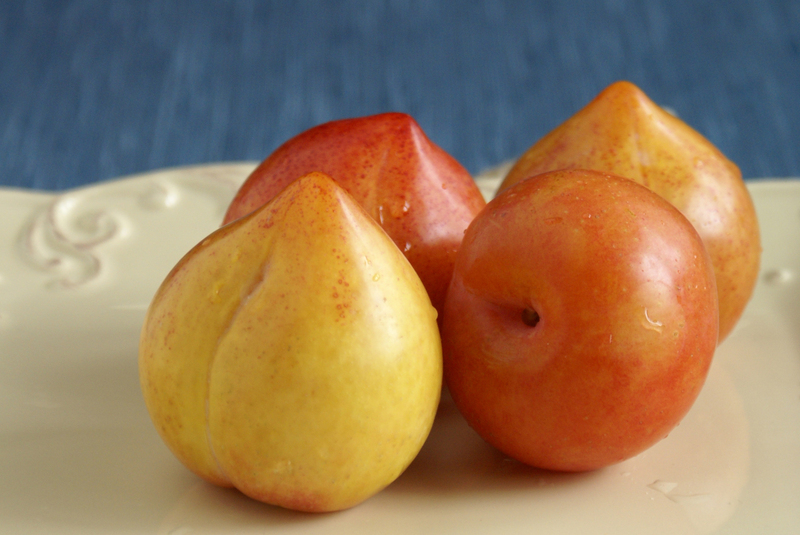 This fruit is sweet, juicy and resemble the taste of plum. Having similar shape of lemon, it has one end rounded and other end with point. 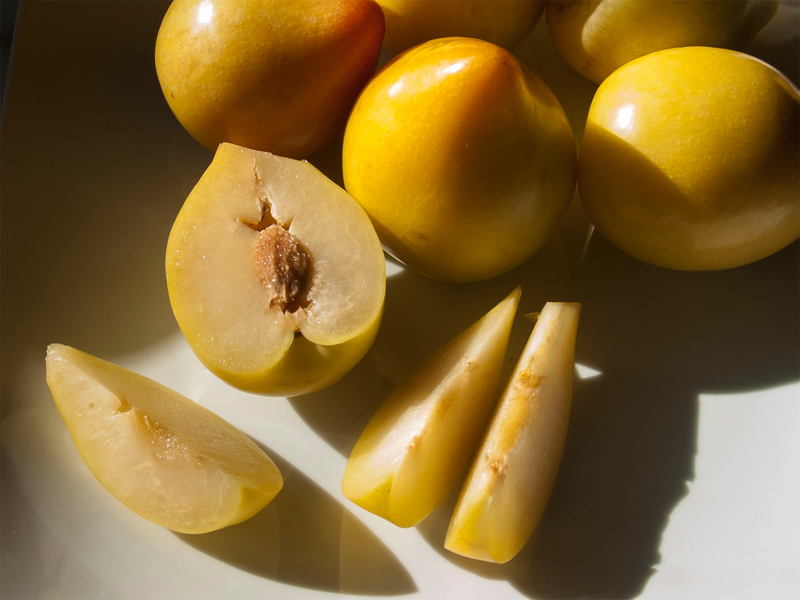 Lemon plums got its name due to the bright yellow color when the fruit is unripe and has sour taste. The color turns to dark reddish-purple when ripe from yellow to golden orange. After the fruit is picked, it requires 250 to 300 hours as a ripening time. It has fragrant and slightly floral smell. In United States, its peak availability is short and within February. It requires low chilling hour that makes it suitable for coastal areas and also Southern California. In Central California, it ripens in August which could be found till the end of month. The fruit is consumed fresh. It is also eaten when they are yellow with flesh crisp and slightly acidic or after it has fully ripened. 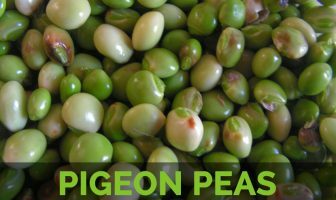 It is a great source of vitamin C, vitamin A and fiber. Lemon plum was initially bred in Israel. It was known as lamoon which is an Arabic term for lemon. The varieties were brought to Chile. 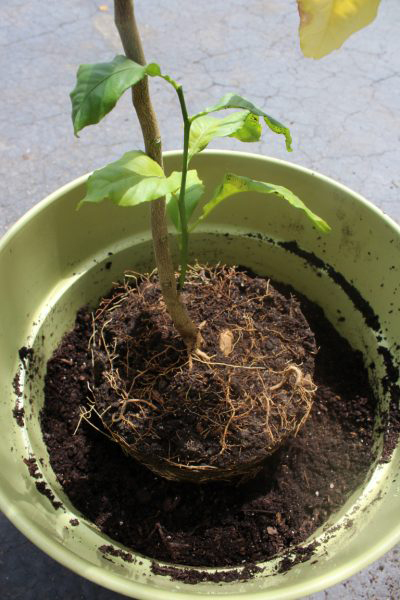 Today, it is cultivated there and some harvested ones are exported during winter months to America. This new variety is found in limited quantities from January to March but peaks in February. Lastly it is harvested in Chilean fruit season. The presence of significant amounts of dietary fiber makes it beneficial for digestive health. Fiber helps to add bulk to the stool, eases digestion and assists to pass food through digestive tract. It prevents the chances of constipation and also gastrointestinal problems such as excess gas, bloating and cramping and also serious health problems such as colon cancer and gastric ulcers. Moreover, fiber also reduces bad cholesterol level which results in lowering the risk of getting heart attacks, atherosclerosis and strokes. Vitamin C is well known as a vitamin required strengthening immune system. Being rich in vitamin C, it acts as antioxidant, promotes counts of white blood cells, prevents damage caused by free radicals and has a significant role in creating new cells, healing wounds and other metabolic processes. Plum lemons also possess high quantities of Vitamin A. Being a carotenoid, Vitamin A changes into beta carotene which assist vision, lower the chances of macular degeneration, lower the chances of premature aging, promote skin quality and also prevent the chances of cancer by hindering free radical activity in the body. 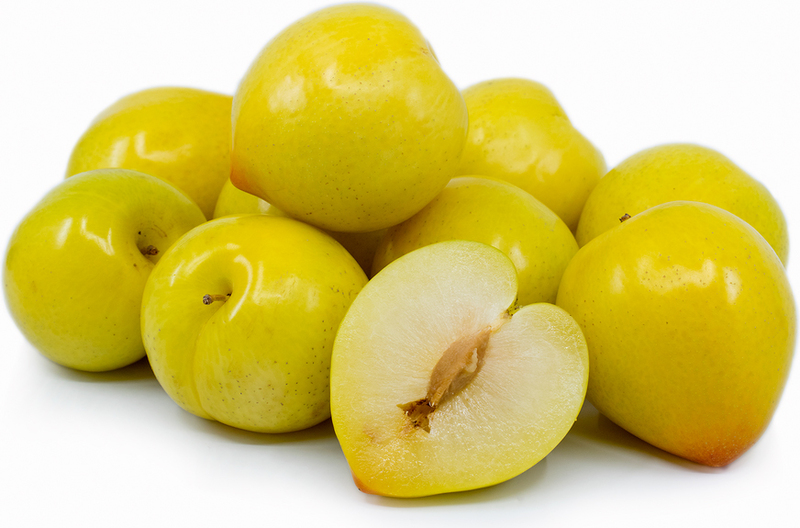 Lemon plums contain high nutrients, low calorie and rich in fiber. It is helpful for people who are trying to lose weight by providing essential nutrients without excess pounds. It makes to feel full and prevents the chances of overeating. Beside it provides flawless skin, Lemon plums acts as a sunscreen. The daily consumption of Lemon plums prevents skin from harmful sun rays. It assists to retain radiance when spending some time in the sun. 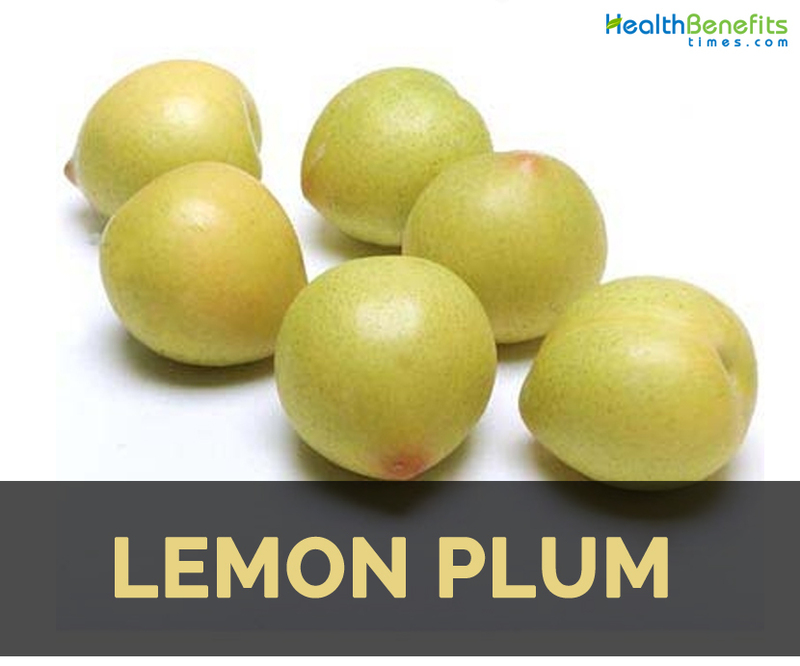 Lemon plums contain Vitamin C which helps to treat dandruff. It enhance hair growth and cures dry and itchy scalp. It lowers the problems of hair loss caused due to dandruff. Vitamin C and antioxidants found in Lemon plums counteract virus which causes flu, influenza and common cold. These antioxidants help to detoxify body. Lemon plums contain fiber which lowers bad cholesterol levels in blood and promotes the level of good cholesterol. It lowers the risk of heart strokes and also other cardiovascular problems. An intake of Lemon plums helps to maintain healthy heart. Lemon plums contain antioxidants which help to lower clogging of pores those results in acne. Use it to treat damage or spots made by acne. It helps to rebuild damaged tissues which heal spots and blemishes. Consumption of lemon plums helps to treat damaged hair. It prevents hair damage and also repairs the damaged hair. Lemon plums enhance hair growth by countering factors resulting hair loss. Lemon plums contain fiber which is soluble in blood. It assists to maintain proper level of glucose in blood. The diabetes could be prevented by regulating the level of glucose. The regulation of glucose levels provide enough energy to the body that assist to make people active and also fit. Consume fresh when they are fully ripe. It could be used in baking such as cakes and tarts. Add sliced fruits to salads and cheese plates. 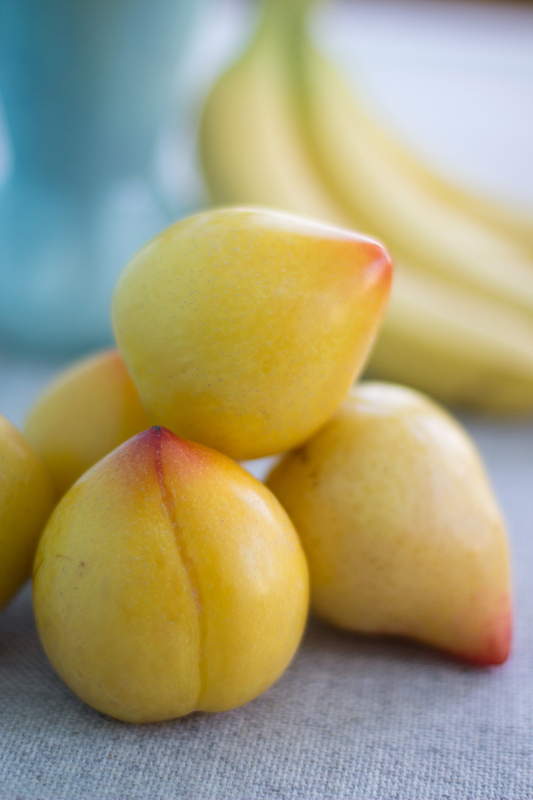 Mix Lemon plums to smoothies with berries and other seasonal fruits. It pairs well with apricots, peaches, berries, almonds, vanilla, ginger, cream, nutmeg, cardamom, yogurt, chocolate and cinnamon. Make salad by mixing with baby kale, mesclun greens, chopped walnuts, sliced avocado, herbed goat cheese, hemp seeds and sliced lemon plums. Gently toss it with champagne vinaigrette. Preserve it by making jam. Store Lemon plums in refrigerator by putting it in an open plastic bag. It makes them lasts for two to four weeks. For preventing bruising, store plums in an old egg cartons. For longer storage, process lemon plums in form of jam. People with medications should consult the doctor before consumption. It is better to avoid by allergic people.